Looking for a Reliable Tree Service that Won’t Break the Bank? A-Local Tree Service provides a complete arboricultural service to both the domestic and commercial customer. We combine qualified arborists and an experienced work crew with up to date training, procedures, resources and modern equipment. We offer tree removal services in the greater Brisbane region, including both the Sunshine and Gold Coasts and offer those services listed above. Although trees are an integral part of any landscape and add to the beauty and aesthetics of a property, damaged or infected trees can easily become a hazard for you. Therefore, in order to keep your landscape in pristine condition, we offer almost all types of tree services. Whether it is tree cutting or pruning, you can rely on us to carry out all such tasks with professionalism and efficiency. With the use of the latest tools and the most effective techniques, we make sure that the tree removal process is a successful one. If there is a tree in your property that you want removed, then you can rely on our tree services in Brisbane for professional removal services. Maintenance of the trees in your property is not only important to keep the trees healthy but it is essential for the appeal of the property as well. Our professionals are trained in trimming and pruning of trees so you can rely on them for improving the health and safety of your trees. If a big and ugly stump has become an eyesore in your backyard and maybe a risk to the children playing outdoors, then it is probably time to call us for stump grinding. We make sure that during stump grinding, we do not damage any power lines beneath the ground and that the stump is removed successfully. As part of our Brisbane tree services, we also offer mulching to ensure the healthy growth and development of your trees. We aim to create a healthier and safer environment for your trees and with our services, you can be sure that your garden will be blooming in no time. We offer a 24 hour emergency tree response service and are an authorised contractor for major insurance companies including Suncorp. We are passionate about RECYCLING and all trees or green waste is recycled into bi-products (mulch, timber slabsand posts, firewood) which are available for purchase. Our friendly staff look forward to assisting you. Call 0403 599 881 Now or Enquire Online for a fast response. A-Local provides expert arboriculture services to both the domestic and commercial customer. We offer premium tree removal Brisbane residents can rely on, as well as tree pruning and thinning, land clearing, stump grinding, mulching, vegetation management and 24 hour emergency tree services. 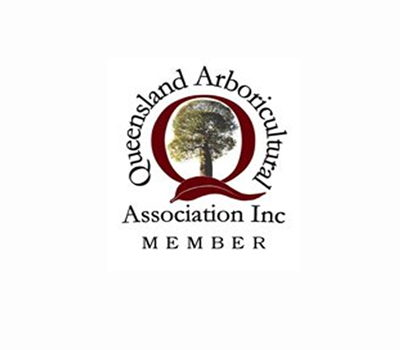 We pride ourselves on our friendly staff of expert arborists who offer impeccable customer service to all of Brisbane, including the Sunshine and Gold Coasts. Our rates are unrivalled in the industry, ensuring that you get the quality service you need at reasonable prices. For all of your arboriculture requirements, call A-Local and we’ll sort them out for you! Our company is headed by experienced and trained arborists who follow all of the standard health, environmental and community policies. We have an extensive understanding of industry standards and commit ourselves to maintaining high grades of safety and professionalism. As safety is our priority, we are sure to keep wildlife and vegetation, as well as people, out of harm’s way. In order to achieve this, we carry out elaborate on site assessments to establish the needs of the vegetation and those affected by it. No detail is left unnoticed by us. The key to our loyal customer following is our clear-cut expertise in the field and our ability to accommodate the needs of domestic homes and commercial properties. No project is too big or too small for our staff. A-Local’s portfolio of services is wide ranging and will accommodate most, if not all, of your arboriculture needs. Firstly, our tree removal services are unparalleled in the industry, as we have the ability to remove any tree of any size with care and ease in virtually any location in Brisbane. We take great precaution throughout the tree removal process, making sure to use a crane or cherry picker in the event we’re faced with space limitations or electrical hazards. Apart from the removal itself, we are also available for the maintenance of trees, which is essential for their health, safety and longevity. Additionally, we are available for any emergency tree removal, offering a quick 24-hour response to your request. You can also call on us for the general management of vegetation, stump grinding, land clearing, mulching and other niche arboriculture services. With our extensive experience and complete range of services, you’re sure to find the assistance you need. Do you need a specialised group of people to handle an extensive arboriculture project? Do you have a tree impeding on your property that needs to be taken care of? Are you looking for professionals to handle the maintenance of your vegetation? If so, the professional team here at A-Local are happy to help! Please give us a call on 0403 599 881 to find out more about our services and rates.